Welcome – you’ve found your DJ! 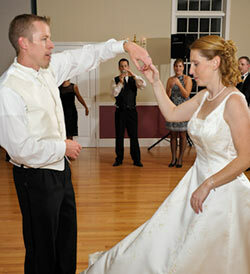 Chris Pickett Disc Jockey Service • djChrisPickett.com is WeddingWire Rated as well as WeddingWire Couples’ Choice! I’ve been voted Best Wedding DJ and Best Wedding Ceremony Music with top 5 placement on the Boston A-List and have also been rated by local brides and voted "The Knot Best of Weddings Pick!" These are important honors for me and I want to thank my past clients for making it happen. You can read their testimonials here on this website as well as on Cityvoter.com, The Knot.com & WeddingWire.com. 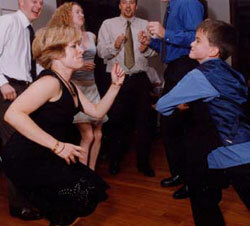 When it is time to celebrate your next event with music, your best choice is Chris Pickett DJ Service! 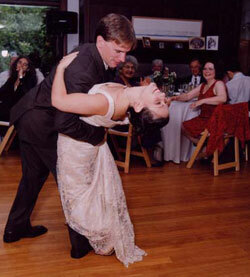 I have been performing at weddings, parties & events along the South Shore of Boston, Massachusetts, Cape Cod and throughout New England since 1979. I am also a professional radio disc jockey with broadcast credits including WCOD on Cape Cod. And yes, that’s my voice greeting you here so you have an idea of my emcee skills. Please be sure to download a song list / planner + view the demo video from the links below. You can also find & "like" Chris Pickett Disc Jockey Service on Facebook and follow my blog. And don’t forget - you can always call & speak to me @ 781-337-8187! 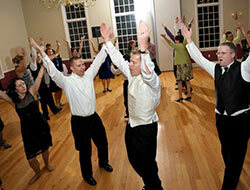 Everyone knows hundreds of songs from many eras so your entertainment choice should have the ability to provide you and your guests with a large selection of the original hits that they remember. Chris Pickett DJ Service has all you need to get the party started via a digital music library that reaches back to the future through 8 decades of the Latest & Greatest Hits!™. Download helpful planning information + song list & testimonials here! ©2017 Chris Pickett DJ Service. Boston, Massachusetts. All rights reserved. 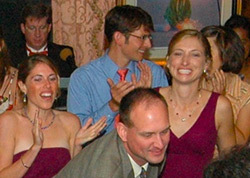 Chris Pickett DJ Service: South Shore Boston Wedding DJ, Massachusetts Wedding DJ & Cape Cod Wedding DJ The Latest & Greatest Hits - Soundtrack To Your Next Event!